The tramp steamer is one of the two principal types of merchant ships as classified by operating method. The other is the ocean liner. Tramper, in contrast to the liner, operates without a schedule, going wherever required to deliver cargo. She is a descendant of the early merchant ships whose masters (who were also their owners) loaded them with cargo at home to sell abroad, and vice versa. 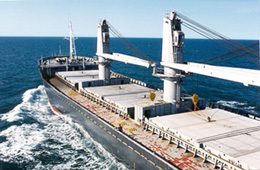 Depending on the size of the vessel, they are also classified as Seaway or Handy, Panamax, Suezmax and Cape; the names indicating the type of routes they are likely to take, carrying mainly loose grain, coal and other mineral ores in holds below deck. 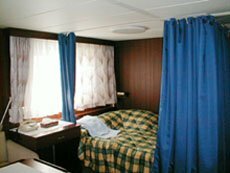 Trampers usually offer only a few spare cabins, such as the owner's and pilot’s, which are often as nice as those on passenger-carrying liners. You might not have on-board evening entertainment as on a cruise ship, but you can expect to have a comfortable and enjoyable cruise. The New York Times article From Montreal to Minnesota, by Inland Sea mentioned our company and we often get requests for bookings. However, Great Lakes ships are not certified to carry passengers for hire. They can take guests, such as family members and company's customers. For the general public they offer a chance to enjoy this kind of cruise through the non-profit raffles donated to the various groups by the shipping companies. You can apply through the Great Lakes and Seaway Shipping website. Drawings are several times every year, and tickets cost as little as $10. The Grand Prize can be a voyage for 4 on a Great Lakes freighter the following summer. Take advantage of the knowledgeable advice that comes from our vast experience. 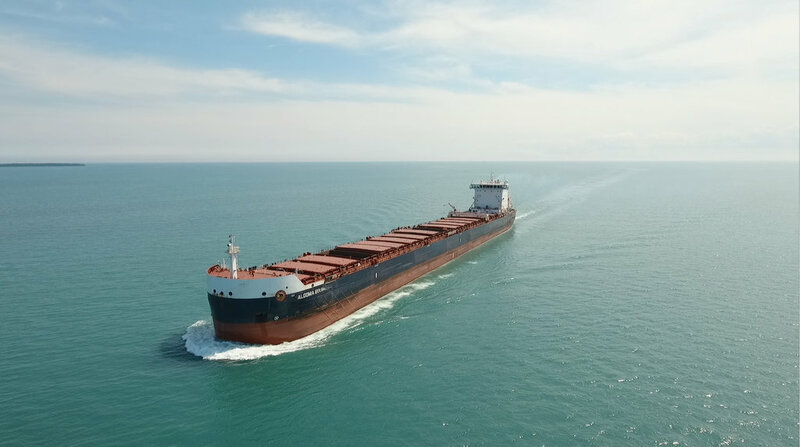 Find the freighter voyage that's right for you and you'll get an automatic discount, up to $800, depending on the steamship line and length of voyage. Please see the Special Discounts page. To subscribe simply pay the fee by credit card. You'll also receive our online newsletter called Seaworthy News, featuring passenger firsthand stories and news, issued periodically as it happens. It's a well-illustrated e-mail publication often being the only one available anywhere for many of these voyages. The same low price (in USD) is valid internationally.